Bundesverband Flachglas (BF) – the Federal Flat Glass Association – was created in 1987 by the fusion of the following German associations: Bundesverband des Deutschen Flachglas-Großhandels, Bundesverband der Deutschen Isolierglashersteller, and Fachverband Flachglas Veredelnde Industrie. 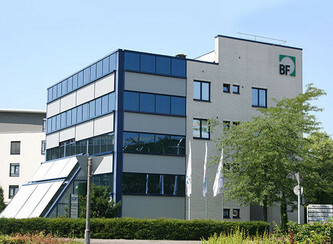 Today, BF has more than 110 member companies with over 220 production facilities, and in addition to those companies some 50 supporting members. Its headquarters is in Troisdorf, in the Cologne/Bonn region.